Happy Birthday to Casey Kasem! Kasem, who sadly passed away last summer, was born Kemal Amen Kasem in Detroit on April 27 in 1932. He was born to Lebanese Druze parents who had immigrated to Michigan. He grew up interested in radio shows, which is where he ended up making a very successful career. Although he hosted a variety of radio shows throughout his career, he is most famous for pioneering the “top 40” model. Kasem hosted a weekly top 40 countdown show (“America’s Top 40” and “Casey’s Top 40”) from 1970 until he retired in 2004. 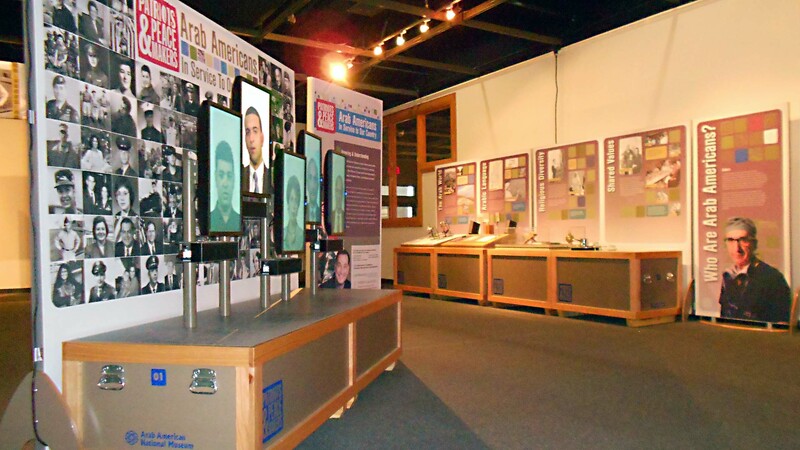 Kasem is featured in our museum in a few places. In our Making an Impact exhibition, a plaque commemorates his inclusion in the Hollywood Walk of Fame and he also narrates a video of other famous Arab Americans. We also have a large “America’s Top 40” sign near our Lower Level Gallery. 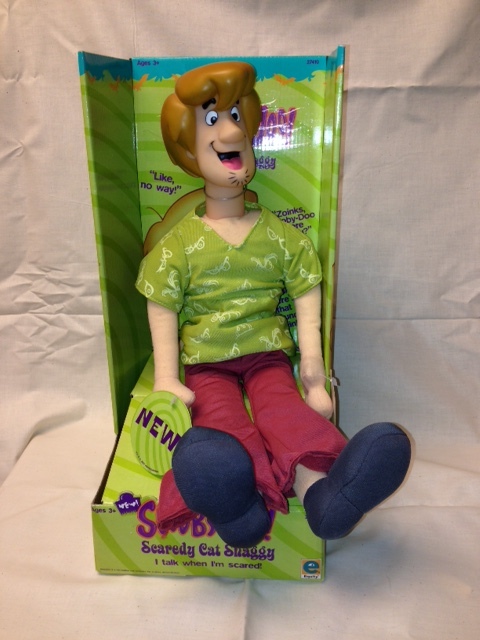 Shaggy donated to the museum. 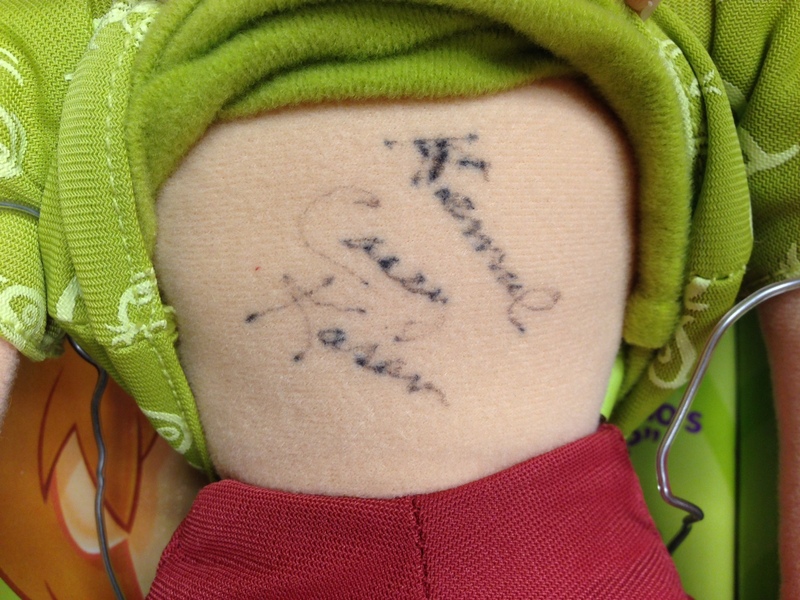 Signed by Kemal “Casey” Kasem. Zoinks! What a fun donation! What are some of your favorite memories of Casey Kasem? Guest post by Jharina Pascual, 2nd year master’s student from the University of Michigan School of Information. Jharina volunteered in the AANM curatorial department from March 2-6, 2015 as a part of an Alternative Spring Break program. My Facebook page was already beginning to fill with friends excitedly posting pictures of touching down in some warmer area of the country, taking a break from the piles of snow. Florida is a popular destination, obviously. 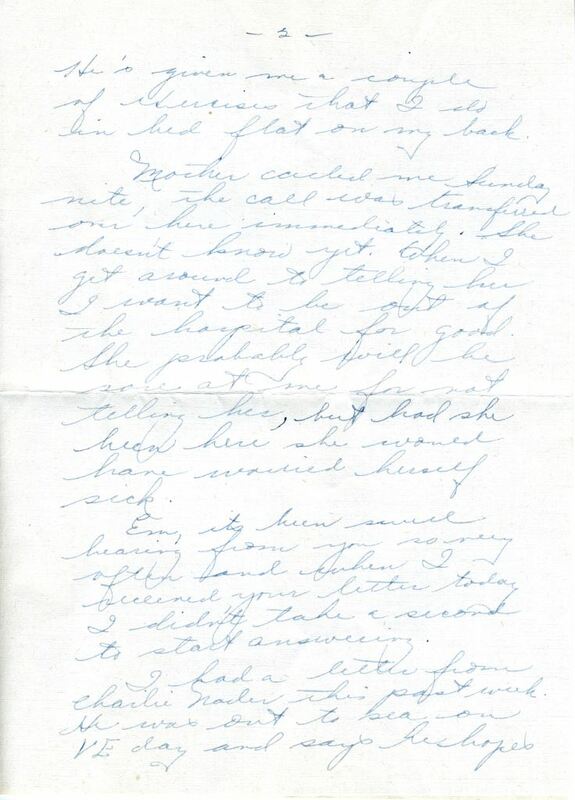 To compound this, the collection I was assigned to work with during my week at the AANM was a series of letters written by a young Arab American woman to her friend about her summer as a WAC, or a member of the Women’s Army Corps in the U.S. Army, stationed in Tallahassee, Florida. 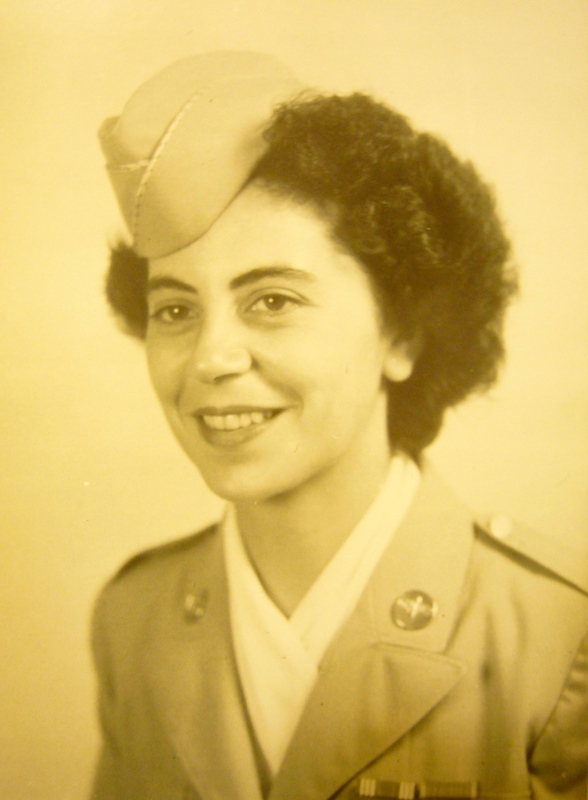 May Assaff grew up in Massachusetts and joined the WACs during WWII. 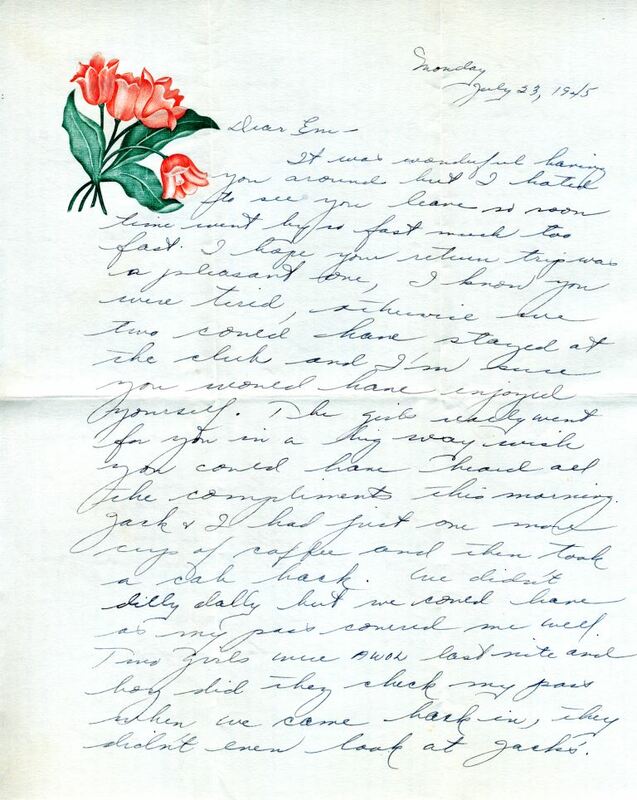 Although a few letters date from 1943 and 1944, most are from the summer of 1945 in Tallahassee. After a long stay at hospital recovering from a leg injury, May worked as a teacher on the base. Her letters, however, are primarily about taking trips to Wakulla Springs, going clubbing, and her visits with friends – particularly the recipient of the letters, Emily Hajar. Emily was also a military member, serving in the Navy WAVES. Emily and May were close, it seems, because their mothers were also friends. May’s letters are filled with concerns of getting her own mother needlessly worried about the injury, which she declined to tell her about during the recovery. During this time, May finds comfort in writing to and hearing from Emily about their various friends and family. I missed a chance to soak up some sun, but I was ultimately rewarded with a glimpse into a young woman’s friendships and family relationships during World War II, a time when women’s social roles were being redefined. Thank you to the AANM for this opportunity! 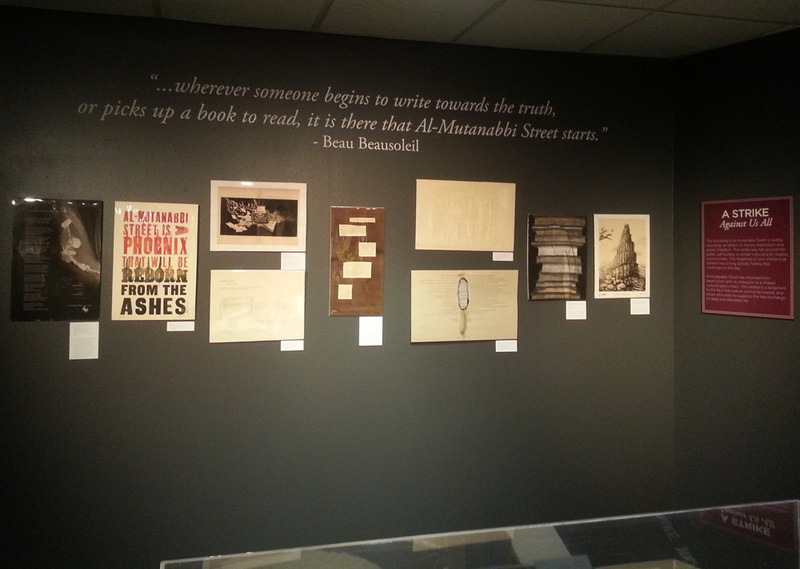 Learn more about May Assaff and Emily Hajar on the AANM Collections Online website. 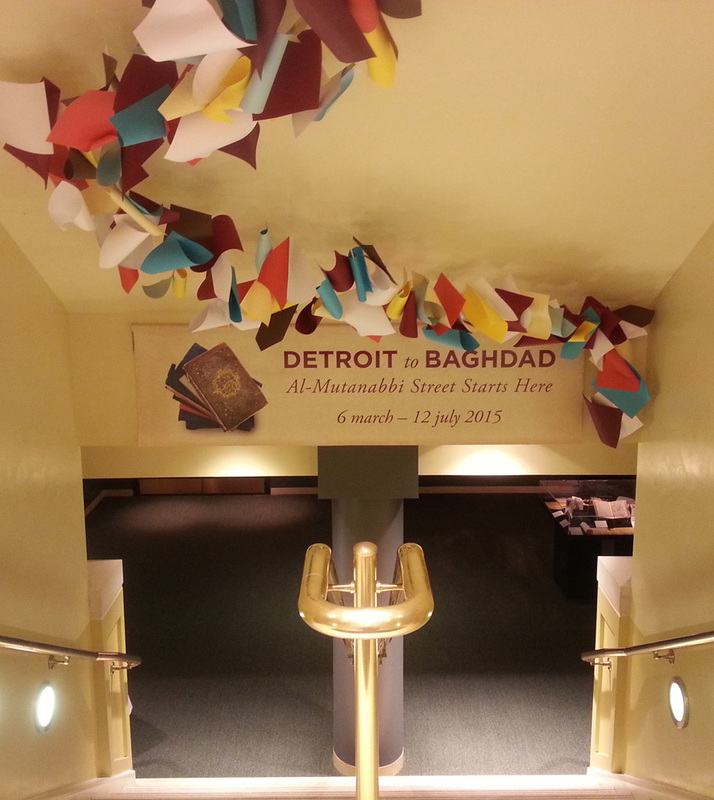 Last weekend we opened the exhibition Detroit to Baghdad: Al-Mutanabbi Street Starts Here, in partnership with the Al-Mutanabbi Street Coalition. On March 5, 2007 a car bomb destroyed part of Baghdad’s book selling district on Al-Mutanabbi Street. About 30 people were killed, and over 100 more were injured in the blast. It was a terrible blow to the Iraqi people and their cultural freedoms. However, the street was completely rebuilt by December 2008, and once more a thriving cultural hub. 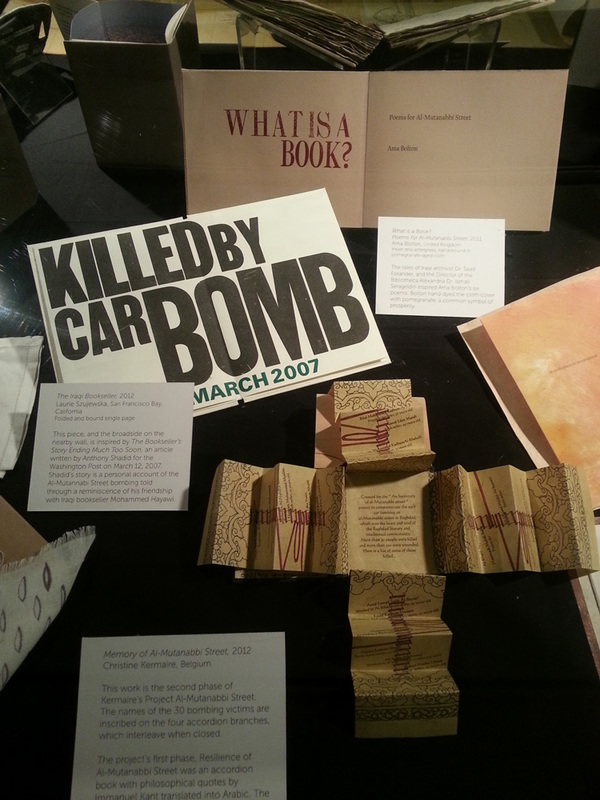 The Al-Mutanabbi Street Coalition was started by San Francisco-based poet and bookseller Beau Beausoleil in 2007, in an international response to this tragic act of violence. A call was put out to letterpress artists all over the world to contribute broadside prints to a series of exhibitions in solidarity with those who were affected. At some of these exhibitions, copies of the prints were sold to support charities like Doctors Without Borders. 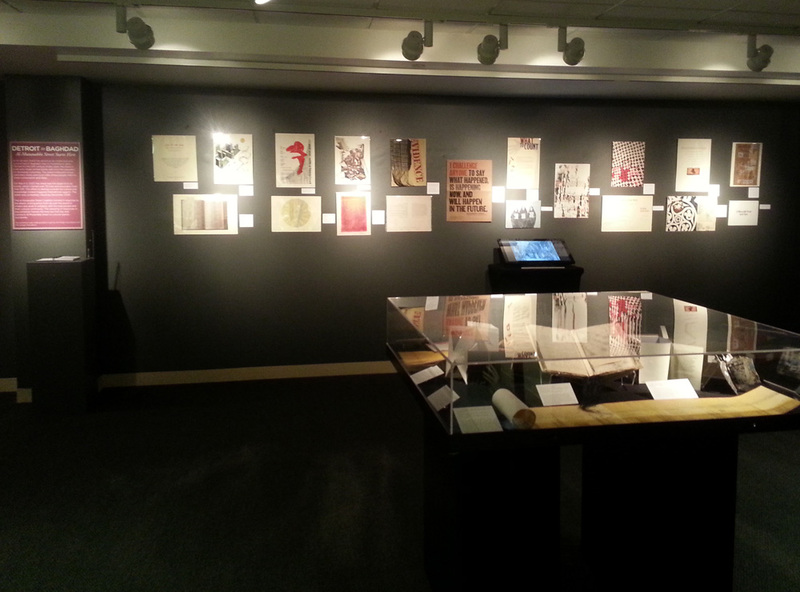 Later, the project expanded to include book makers, and most recently print artists as well. So far, about 600 artists from 20 different countries have contributed work. The exhibition at the AANM combines a sampling from all three phases of the Coalition’s efforts, and will be on display in the Lower Level until July 12, 2015. We welcome you to browse the collection as if you were visiting Al-Mutanabbi Street, and reflect on where your personal cultural centers exist. Happy Valentine’s Day from the Arab American National Museum! This is a month for celebrating love in all forms, and we have some great artifacts to share from our collection on that topic. First up is this adorable Valentine’s card from the collection of Aliya Ogdie Hassan, one of the founders of our parent organization ACCESS. Next, a booklet from the 1938 Valentine’s Dansant put on by the Junior Chapter of the Syrian Ladies’ Aid Society. A “dansant” is a short afternoon dance. Another Valentine card, this one sent to a mother. After all, who loves us more than our own mothers? Finally, we can’t talk about Valentine’s day without showing a couple in love. 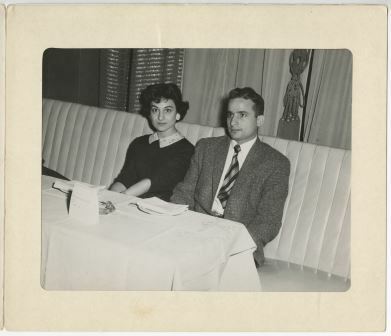 Pictured here are Rosemary Hakim, a native of Detroit and winner of the first Miss Lebanon-America pageant, with Prince Fahad al-Sudairi of the Saudi royal family. The two had a brief romance while Rosemary was living in New York and working for the United Nations in the late 1950s. We hope you have a wonderful Valentine’s Day full of love! 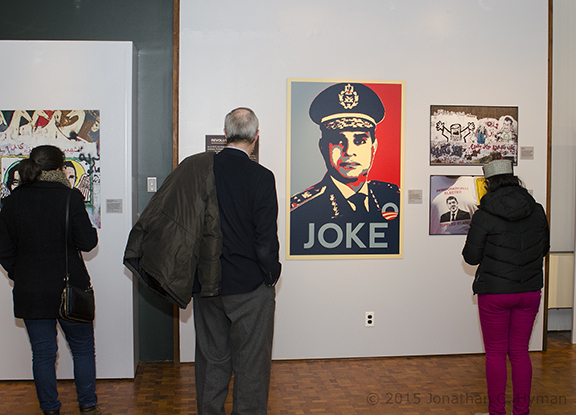 The Arab American National Museum had two of our traveling exhibitions open in the last week. 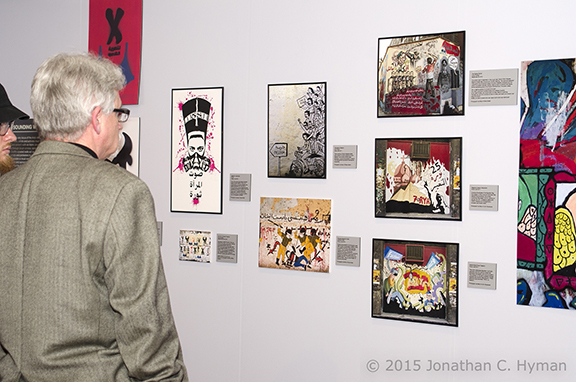 In addition to the Patriots & Peacemakers exhibition which opened in San Antonio (see yesterday’s post), our Creative Dissent: Arts of the Arab World Uprisings exhibition opened last week at Bryn Mawr College, just outside of Philadelphia, PA. The museum is partnering with members of The National Network for Arab American Communities (NNAAC), a project of ACCESS, to present this exhibition at venues across the country. In Philadelphia, NNAAC member Al Bustan Seeds of Culture is partnering with Bryn Mawr College to promote the exhibition and present relevant programming. Here are a few photos from their opening reception which featured a presentation by Dr. Christiane Gruber, one of the exhibition’s curators. The University of Texas – San Antonio’s popular museum, the Institute of Texan Cultures, opened the AANM’s largest traveling exhibition on Saturday, January 24th. and now San Antonio, Texas! 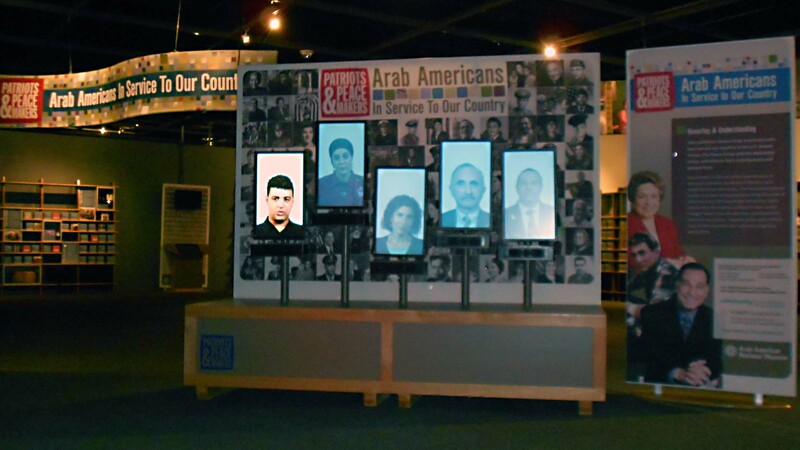 Check out these photos – a vivid reminder of the national scope, perspective, and audience of the Arab American National Museum! “Patriots & Peacemakers: Arab Americans in Service to Our Country” at the Institute of Texan Cultures in San Antonio. The following blog post was written by Yasmeen Hanoosh. In 2014, Dr. Hanoosh received the inaugural Evelyn Abdalah Menconi Travel Grant to visit the Arab American National Museum and conduct research. She describes her experience in this post. Learn more about the 2015 grant and how to apply. 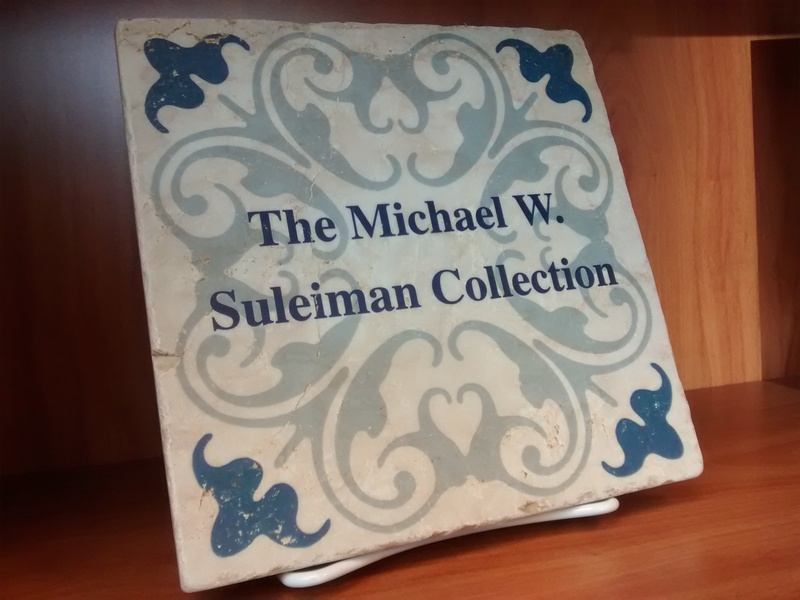 Thanks to the generous Evelyn Abdalah Menconi Travel Grant, I was able to spend two productive weeks in southeast Michigan in June 2014, researching at the archives of the Arab American National Museum in Dearborn and conducting fieldwork among Chaldean- and Arab-Americans in the surrounding areas. 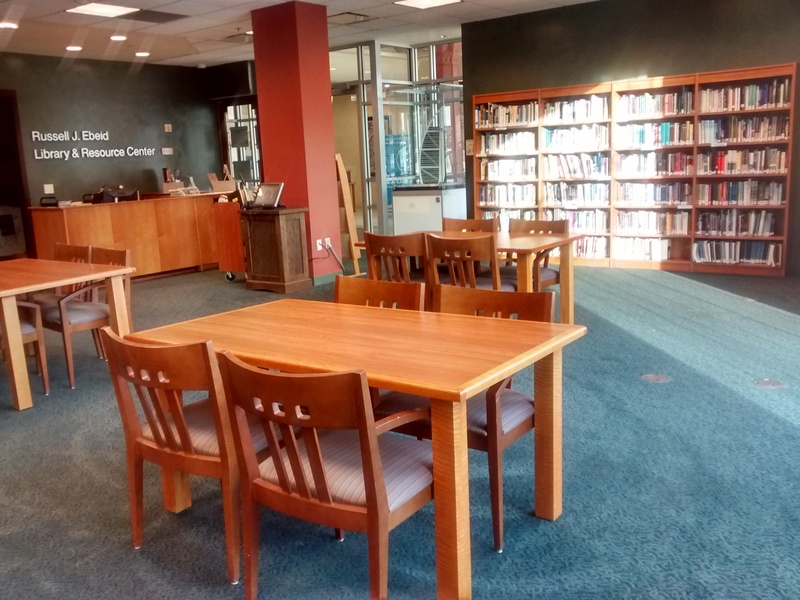 One of the highlights of this visit was researching the new AANM archives, especially the extensive and highly organized Michael W. Suleiman Collection where I found several rare dissertations on the topic of my research. The environment of the whole museum was warm, professional, and helpful. 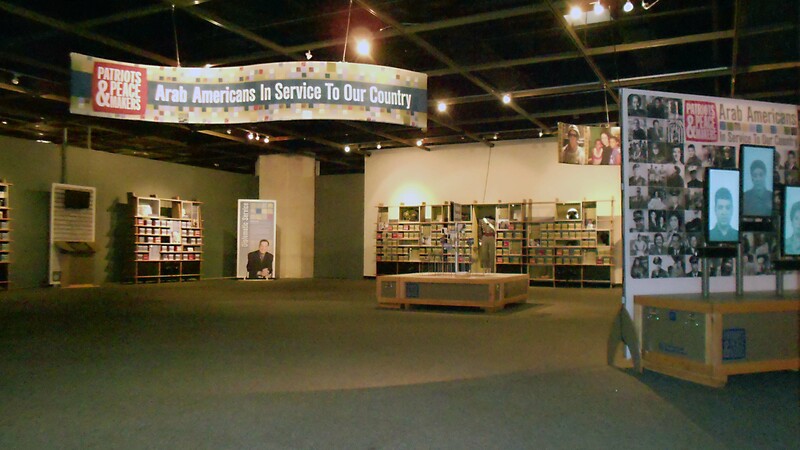 Thanks also to the strategic location of the archives, I was able to witness a number of local demonstrations related to the politics of the Middle East and Arab/Chaldean-American Detroit, network with ACCESS personnel, and conduct interviews with businesses, individuals, and families whose stories are essential for completing my research on identity politics within the Chaldean community. I also was able to reconnect with colleagues from the University of Michigan and other local institutions, forming a solid basis for the networking that is critical for successful completion of my book manuscript. I returned home to Portland, Oregon to embark on using the materials I collected at AANM archives and elsewhere in southeast Michigan. In a short time, thanks to the professionalism and help offered by Matthew Stiffler, the museum’s research and content manager, and Kirsten Terry, librarian, I managed to collect relevant materials, organize them, and put them to use for my writing project. As I revise my book manuscript, I rely very much on the great advice and examples from this visit, as well as the continued support I receive from AANM personnel.